The increased global rankings of Chinese manufacturers when it comes to semiconductors purchases show China's irreplaceable standing as a world-leading consumer in this sector, a Chinese analyst said on Monday. A report released by global research firm Gartner Inc on February 4 on the world's top 10 semiconductor buyers in 2018 showed that four Chinese manufacturers were in this group, with Huawei and Xiaomi seeing their rankings jump significantly. Samsung Electronics still led the world, spending $43.42 billion for a 9.1 percent global market share. Samsung was trailed by Apple, which accounted for 8.8 percent, and Huawei, with 4.4 percent. Occupying the No.5 position in 2017, Huawei's spending on chips surged by 45 percent, jumping in front of Dell and Lenovo. Chinese smartphone maker Xiaomi rose eight places from 2017 to 10th position, increasing its semiconductor spending by $2.7 billion in 2018, a 63 percent gain year-on-year, the report showed. US-based Kingston Technology and Xiaomi were newcomers to the 2018 list, replacing South Korea's LG Electronics and Japan's Sony. Feng Liguo, a research fellow with the research center at China Minsheng Bank, said the enhanced weight in the ranking showed China's "irreplaceable status as a global consumer of chips." 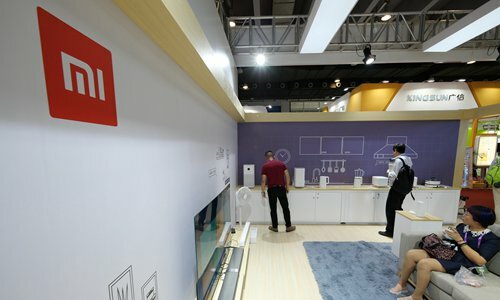 "Chips are used in almost all modern-day products ranging from smartphones to cars to home appliances, and the enhanced weight of Chinese manufacturers is in keeping with China's standing as the world's factory," Feng said. Changes in the chip-buying list were in line with increased weights in global smartphone shipments in 2018. Data from Canalys in January showed that Huawei's shipments rose 34.5 percent. Those of Xiaomi were up 31.6 percent. Oppo's shipments rose 6.9 percent. Samsung's shipments fell 7.2 percent. Those of Apple were down 1.7 percent. In the Gartner ranking, Guangdong-based BBK Electronics, which markets Oppo and Vivo smartphones, saw its position unchanged from 2017 in the No.6 spot. But the company spent 17.5 percent more on chip purchases in 2018. The consumer electronics segment, led by smartphones, is among the biggest drivers in terms of chip consumption and China is one of the largest markets for consumer electronics, Feng said. The ranking also showed that the trade conflict between China and the US had a limited short-term impact on the global industrial chain for integrated circuits, noted Feng. China's imports of semiconductors have risen significantly during recent years thanks to rising domestic demand. The value exceeded $300 billion for the first time in 2018, news site chinanews.com reported in January. That means the world's second-largest economy is spending more on importing chips than crude oil.